Intimate relationships between equals provides shelter from the burdens of life, and promote mutual growth. 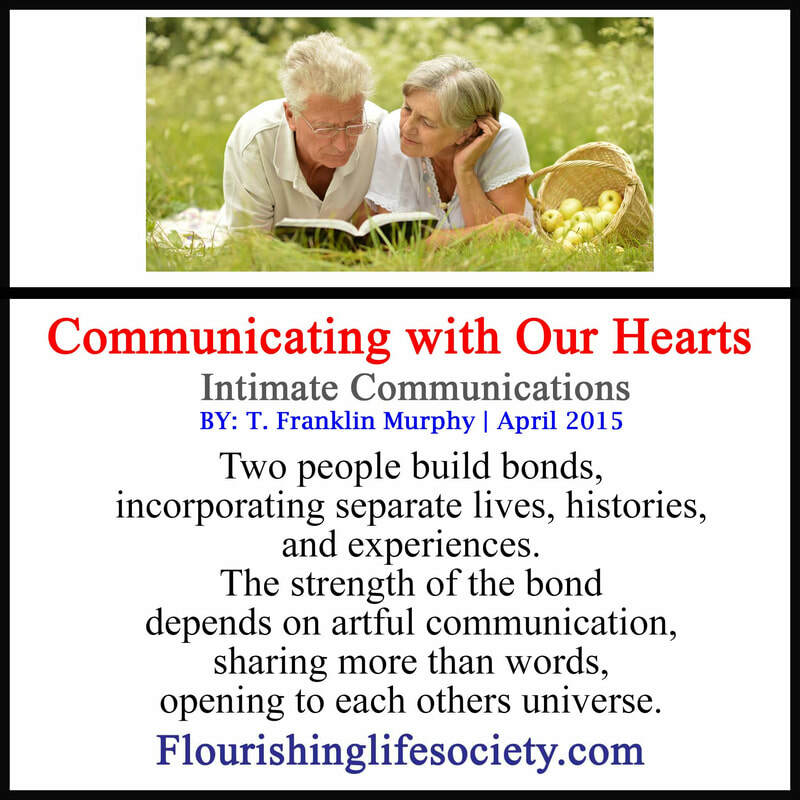 ​While intimate relationships are not a prerequisite for flourishing, they do contribute. There is a wealth of scientific evidence supporting the importance of strong nurturing primary relationships. These begin between child and caregiver. The secure attachment of childhood can be layered with healthy adult relationships, promoting security and growth. 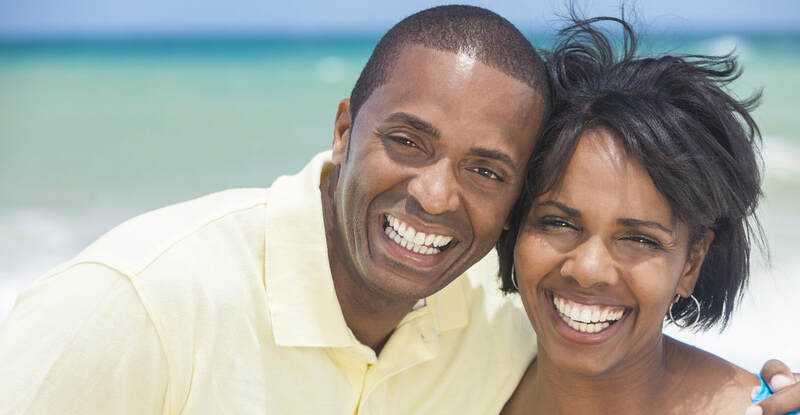 Those who were deprived of healthy attachment can find healing intimacy later in life. The healthy, deeply committed relationships assist each partner to grow, lifting them a little further than they could reach on their own. 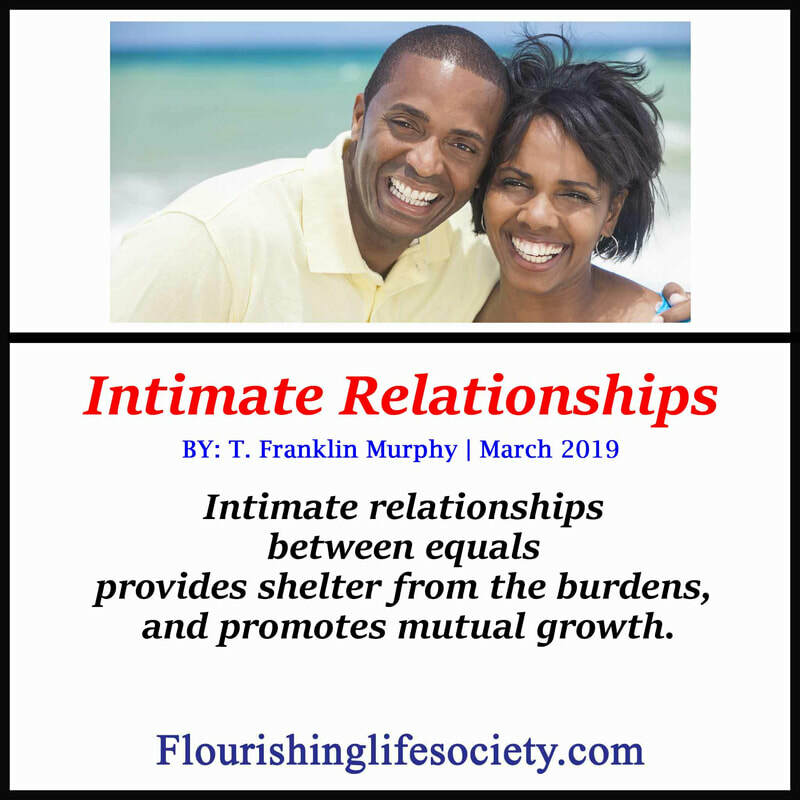 An intimate relationship provides an atmosphere of emotional attunement where each partner’s cries for security and attachment are artfully responded to by a loving partner. Together, they forge a bond. The knowledge that we are loved creates a protected sphere of safety. “Healthy, sustainable relationships are based on willing reciprocity, not exploitation.” (Brown, The widening scope of Shame location 3786) Unfortunately, many of us in our attempts to find shelter in romance, get sucked into exploiting relationships—not necessarily one-sided. 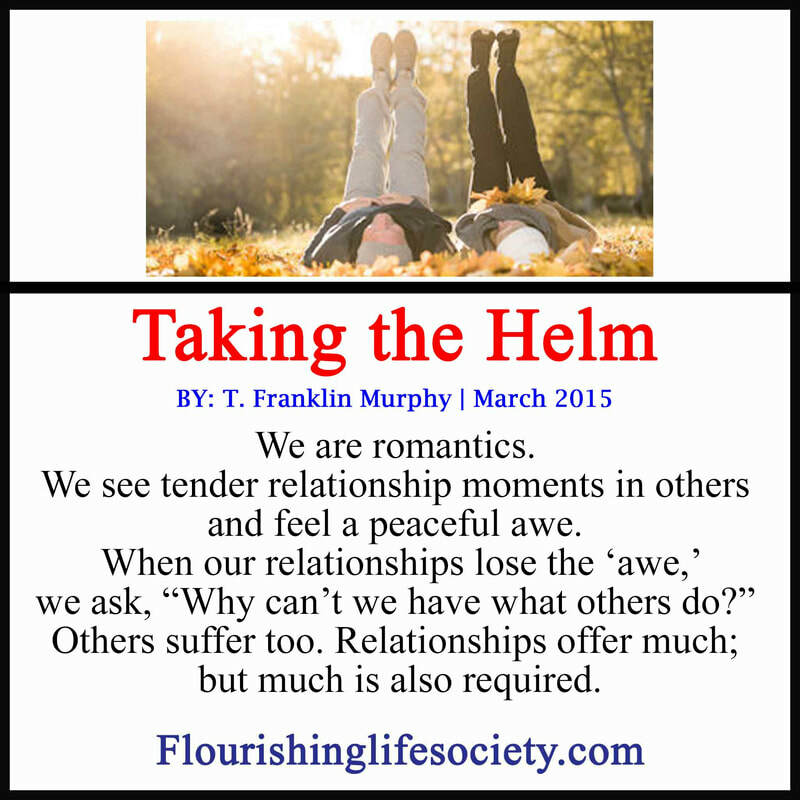 Each partner exploiting the relationship to fulfill their own needs. We are naturally endowed to be selfish and driven by selfish impulses. But we can transcend these impulses. 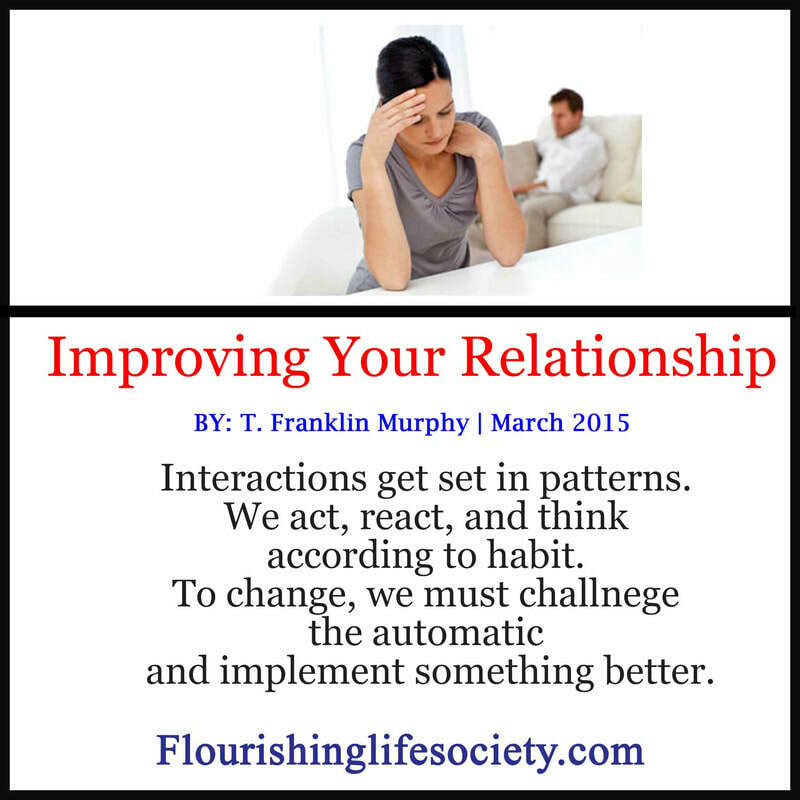 Any attempts to flourish that ignores the importance of healthy, intimate relationships is limited. We flourish together—not alone. By developing skills of social expertness, learning compassion, being able to soothe those in pain, we not only bless the lives of others, but also bless our own lives. In return for our selfless services, others give to us in our emotional times of need.